Join us for a night of dinner and music! 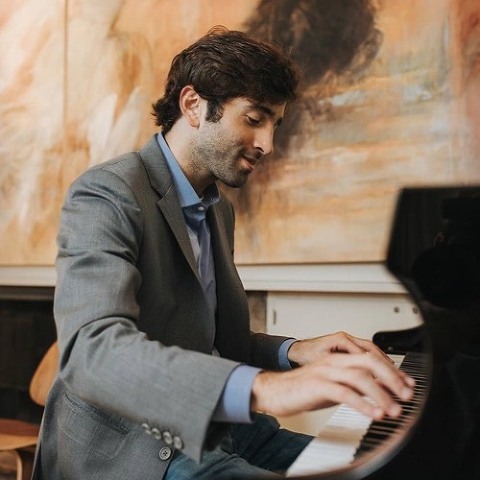 Joe Alterman Jazz Trio will be playing at Empire Mills Thursday, May 2nd, as part of the 17th Annual Madison Chamber Music Festival, hosted by The Madison-Moran Cultural Center. Before the concert, Hallie Jane's Catering will be hosting a pre-concert dinner. The concert will be held in Marsden Hall at 8:00 p.m., while the dinner will be held in The Banquet Hall two hours prior at 6:00 p.m.
"A native of Atlanta, Georgia, Joe Alterman studied Jazz at New York University, where he performed at many world renowned venues including The Kennedy Center, Lincoln Center, Birdland and New York's Blue Note, where Alterman has opened many times for Ramsey Lewis. Only 29 years old, Alterman has released four critically-acclaimed albums." Dinner tickets are $40.00 per person. Please click on the "add to cart" icon below. From here, you will be redirected to our Paypal account in which you can either pay with a card or an existing Paypal account. You can also decide how many tickets you would like to purchase at once. We can assure you this is a secure way to pay. If you have any questions or concerns please email marketing@halliejanes.com. There will be a cash beer & wine bar provided by the Madison-Morgan Cultural Center.